Pressed Pizza Line | Naegele Inc.
One example amongst many different ways of making pizza is the “pressing” method. 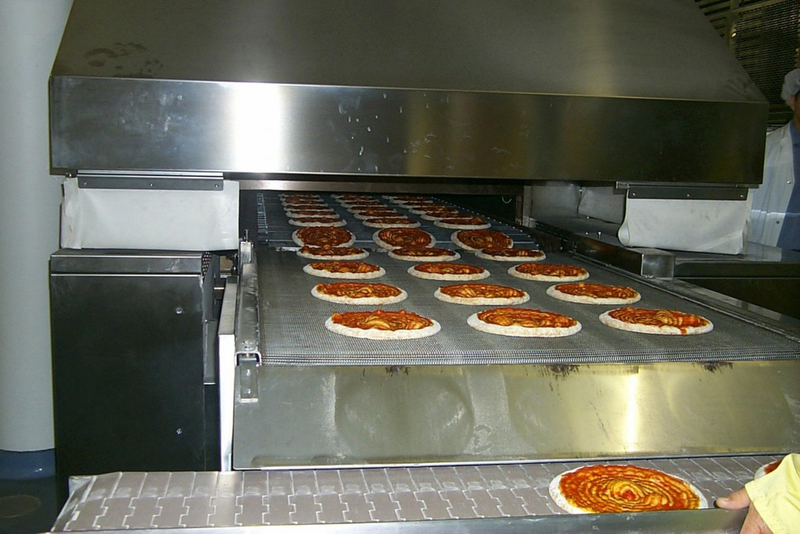 A typical high-speed industrial pizza line produces 8,000 pizzas per hour. After mixing and kneading, a fully automated fermentation system can be installed. Often, a dough resting time of 2 ½ hours is required to obtain the best dough. After dough resting, the troughs or bins are collected from the storage system and brought to the dough make-up line. By means of a dough divider and rounder, dough balls are produced, after which they are fed into the carriers of the first Swing Tray Proofer System. 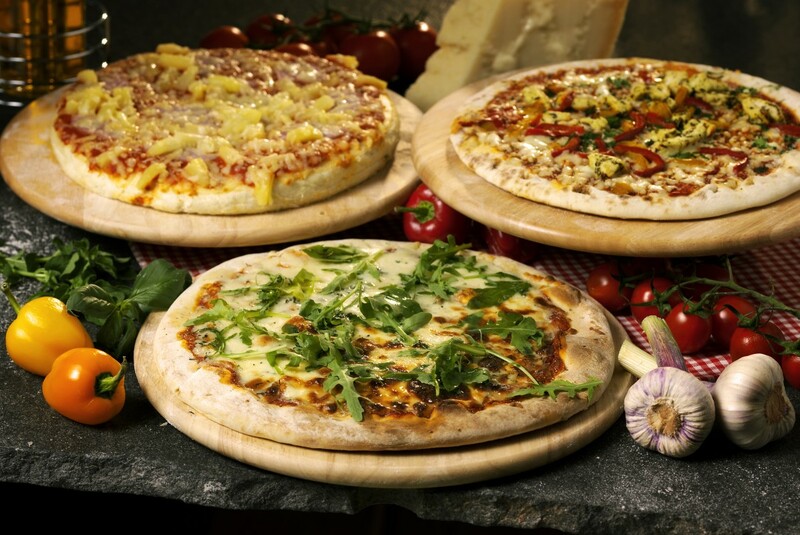 After passing through, the dough balls are transported underneath the Pizza Pressers. The pressed pizza crusts are now fed into the second proofer, where they are carried on flat proofing boards. Before entering the oven, the pizzas can be topped, if required.